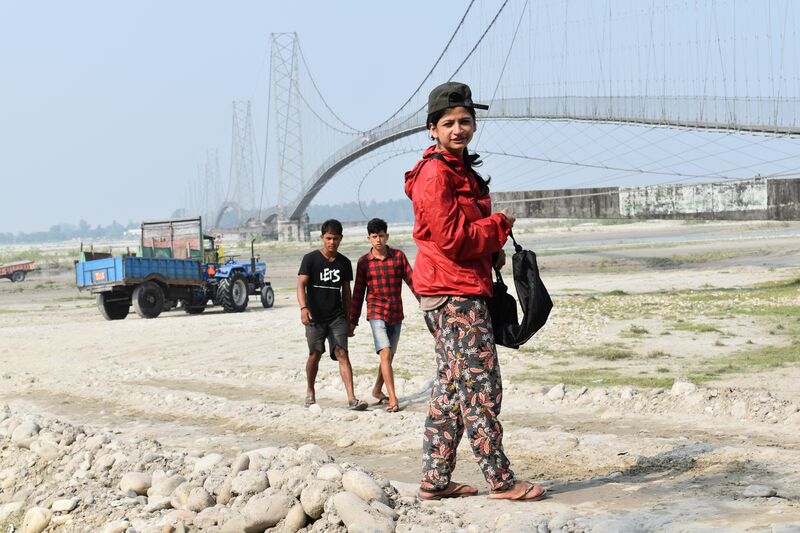 Between July and November 2017, 18 women aged between 18 and 43 were sponsored to travel solo through various regions of Nepal. 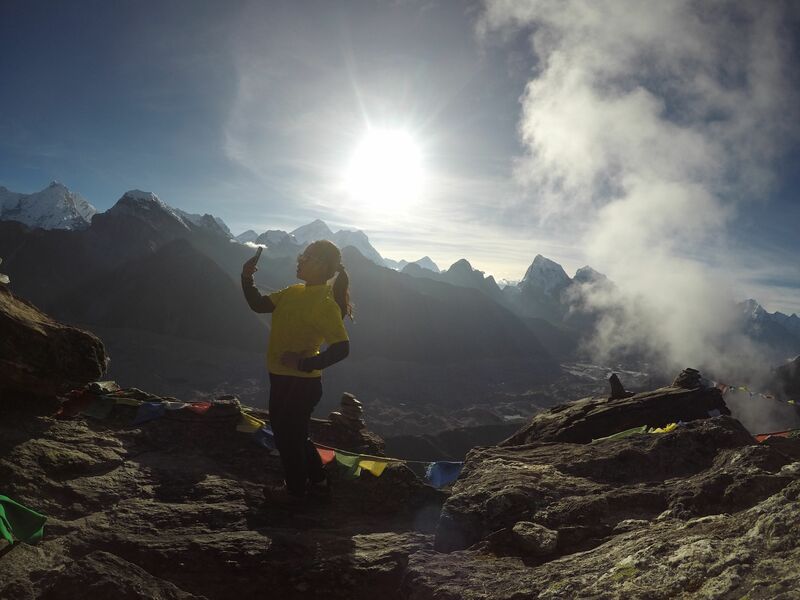 The competition, set by Solo Travel Nepal, facilitates female travelers to see their country. It also opens a line of discourse about gender equality and the potential risks that come with solo travel. Here are a collection of stories from some of the winners from 2017. I grew up in a family of six. My parents had got married at 15. It was my mother’s job to do the household chores and my father traveled a lot for work. I found my love for travel while traveling with my dad on his trips. I feel fortunate that I got to travel from a very small age. 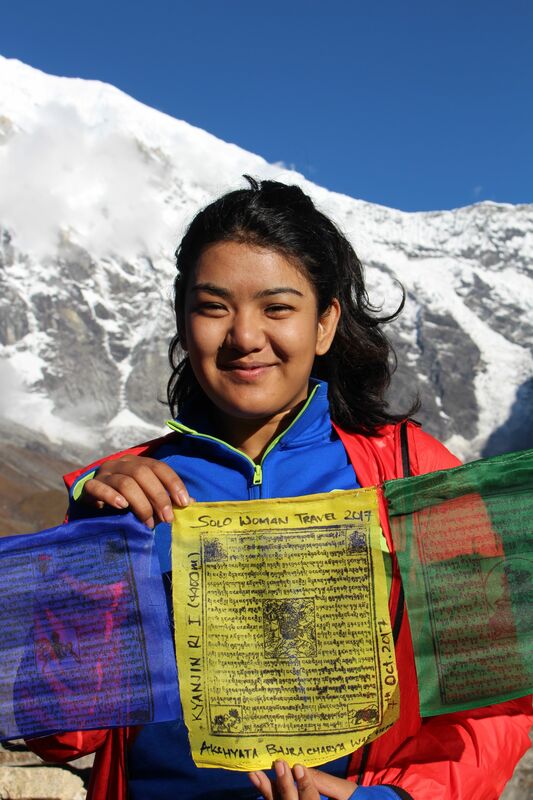 My first trek was to Annapurna Conservation at the age of 13, and I have been to many places in Nepal. That said, I never imagined I would be traveling solo to the most remote area of Nepal. I went with the consent of my parents [with] the assurance that I would be supported financially. They were actually very enthusiastic and supportive about my adventure. But my relatives, on the other hand, were very doubtful and questioned my decision. They even tried to manipulate and convince my parents to not let me go on my own. One relative went to the extent to say that I should be getting married rather than focusing on travel. During the trip, a fear of being alone and concerns such as who would sit next to me and whether I would have to face harassment on local buses made me feel vulnerable. Yet experiences such as traveling during my period in the region where Chhaupadi tradition forces women to live in a cowshed and be treated inhumanely when they are menstruating opened my eyes and filled me with gratitude that I was born into my family and culture. Belonging to a country where there are many restrictions for women to travel, I feel fortunate I have been able to complete my bucket list. I have traveled to every district of Nepal. I have proven many people wrong and set an example for other female members of my family to do something different, daring and adventurous. I also realized traveling is my passion and I want my career to be related to the industry. I have become a happy and satisfied person after this solo travel and absolutely love who I am today. 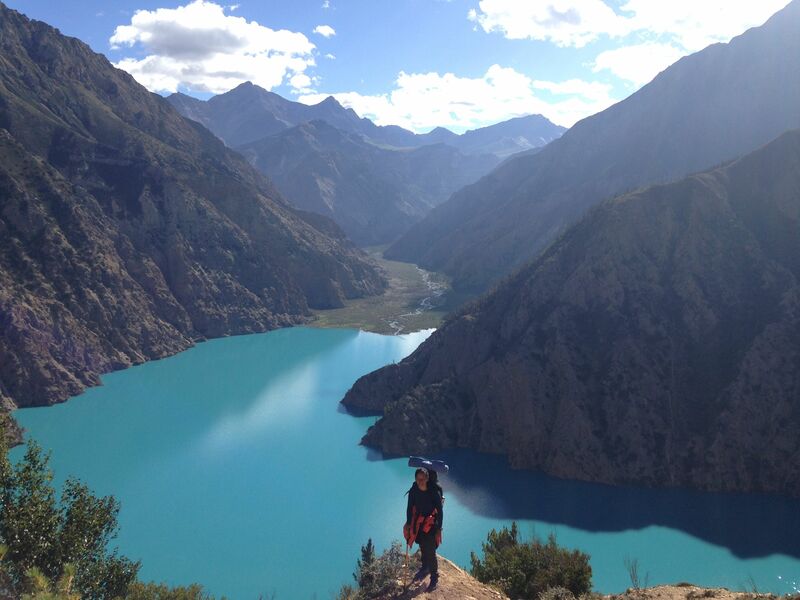 After winning the challenge, I told my parents that I was going on a trek to Dolpa; of course, they were shocked. 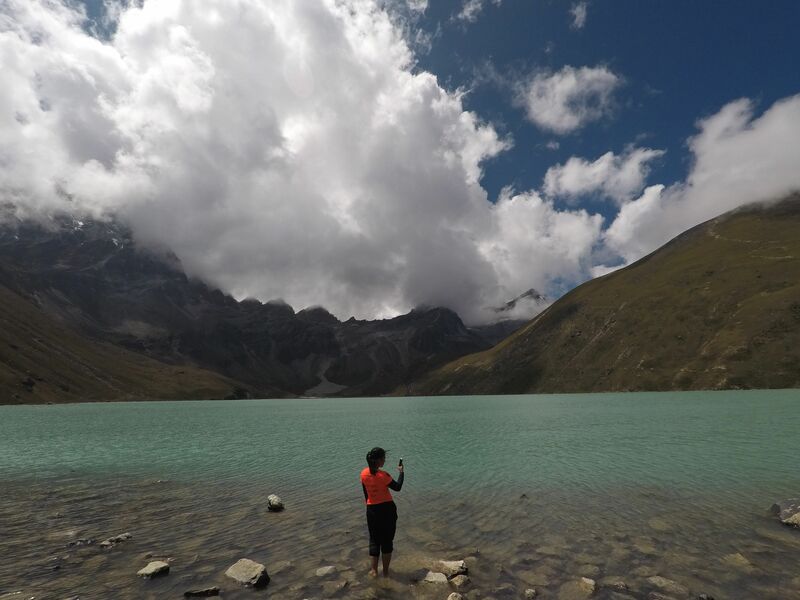 Dolpa is one of the most remote and isolated regions of Nepal. There are no trail markers to follow which makes the journey even more difficult but I wanted to challenge myself, to see how far I can go. Being a young woman traveling alone in such a place made me stand out. I drew attention and quite a few questionable stares and comments: “Why are you here?”, “It’s not safe for a woman”. My parents were really concerned. What if I get robbed or assaulted in the wilderness? On the first few days of my travel, I got off to a rough start. 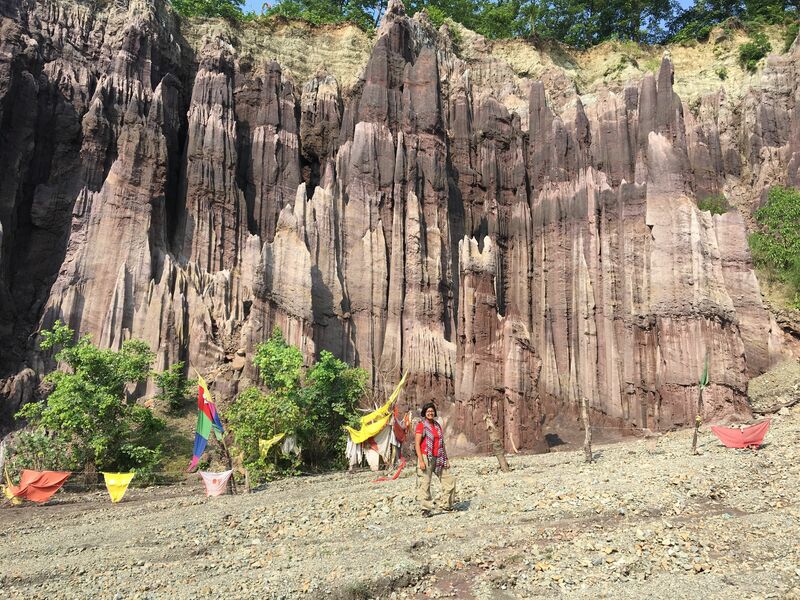 I had a difficult time enduring the physical challenge of the trek. I was horrified and demoralized. On the second day of my trekking, I had to sleep in a room full of men. I was so scared that I carried a Swiss knife with me in my pocket and tried as much as possible to not fall asleep. Yet one of the hardest aspects of my experience was when I got lost for 8 hours. It took me a great deal to overcome my fear — to find the strength and way back to the trail. As a woman, I felt vulnerable in moments like this. The days passed, I increasingly felt sure of myself. I slowly started to gain more confidence. I became more vigilant and learned to make my own decisions. I realized that the only thing stopping anyone to travel is nothing but the fear they have in their minds. Although I took a difficult, less popular route across Dolpa, the vast empty landscape was just one of the many rewards of the road less traveled. As a city girl, born and raised in Kathmandu, I always wanted to explore Nepal and see what it is like outside the capital. Living in a society where travel is not really part of our culture (outside of work or family visits), the concept of traveling for the sake of traveling, to many, is bizarre. However, hearing my mother’s stories from her work trips ignited a spark inside me and I wanted to see and experience it for myself. 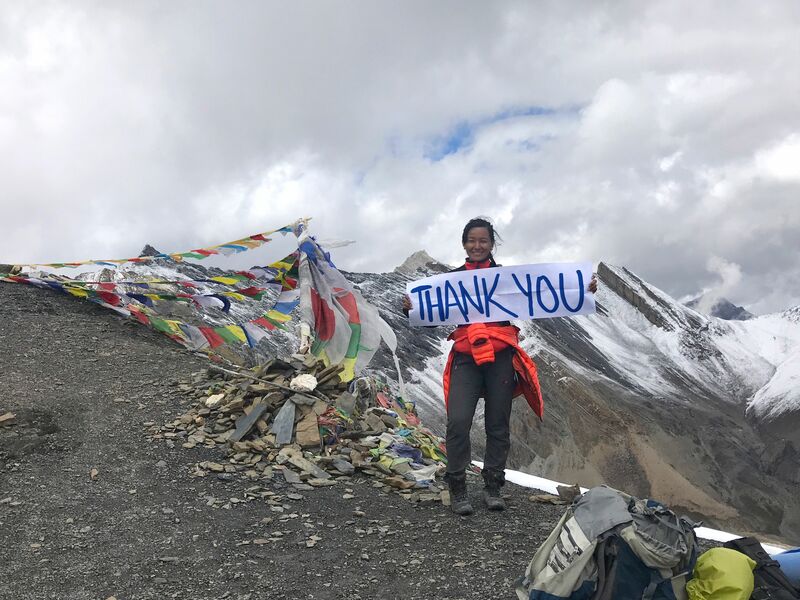 But, as a young girl of a middle-class family in Nepal, I did not have the resources or the encouragement from people around to consider travel. I had visited some places with family but it wasn’t until I was 19 when I got the opportunity to travel long distance for the first time with friends. It took me months of saving, working small jobs and convincing my family to let me go. It was difficult for them to understand my wanderlust. When I won the Solo Woman Travel Challenge 2017, the people around me thought it was even crazier. My mother had serious doubts and concerns, however, she supported me a lot in providing the guidance to plan my itinerary properly, as she had been to most of these places already. 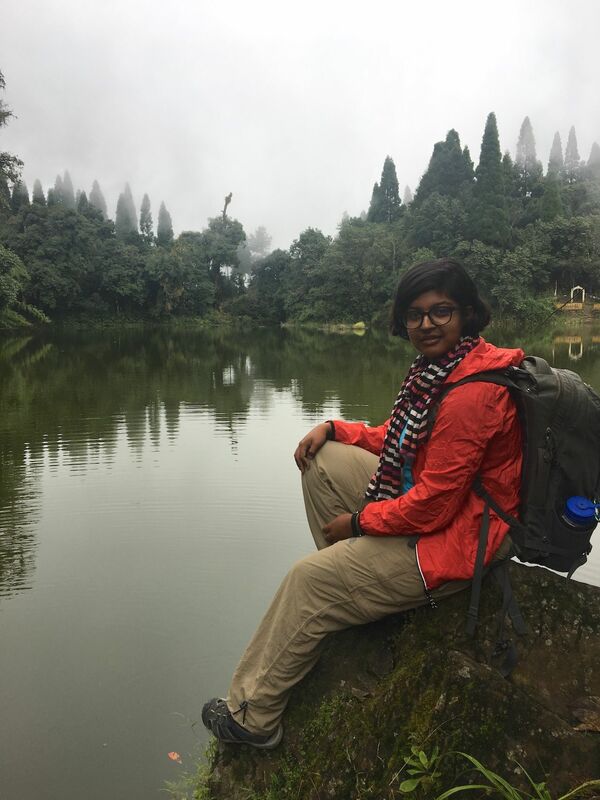 The support of the organization helped convince my family and myself that I am not only capable enough to travel solo but also that I can live an independent life: make my own decisions, organize my finances, plan and organize the logistics, take calculated risks and handle myself in social situations. Through this challenge, I learned a lot about myself and my country. 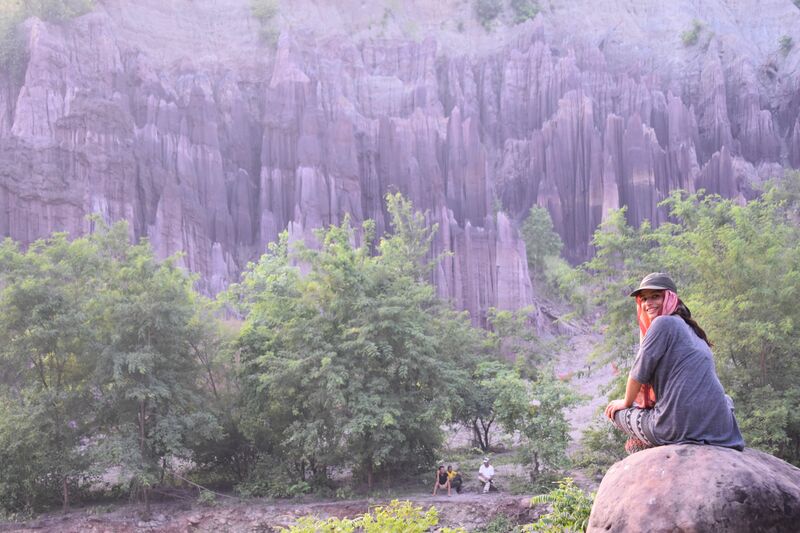 My family proudly talk [about me] being a solo traveler and I receive a lot of admiration from people. While experiencing Nepal outside the capital, a city girl like myself who would have otherwise been stuck in the capital in a safe bubble of family comfort, has today become more resolute and empowered. I grew up in a society that prioritizes culture and traditions over personal beliefs. While women are discouraged to travel anywhere alone, and the society has made them believe that they always need someone to travel with, the men in our society can travel anywhere they want, alone or with company, without much interrogation. 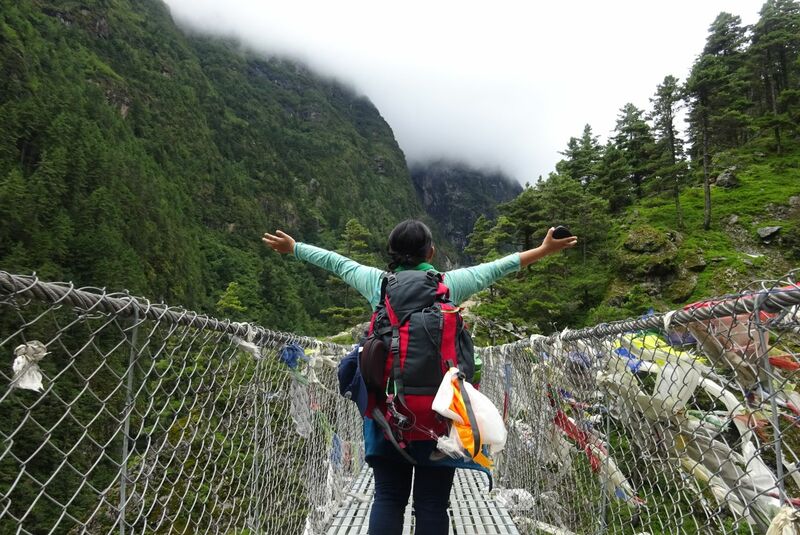 Being a Nepali girl, I always wanted to have the freedom of learning and exploring anything that intrigues me. Going against the negative beliefs of the society has made my trek an impressive and revolutionary act. It has proved that women are quite capable to travel solo. My knack for adventure has always been known to my family so they readily supported me, despite having doubts I’d be successful. The answer I gave to all the people who questioned my decision to travel solo was simpler than their curiosity and concern: because I wanted to. Before I left on my challenge we trained through workshops on wilderness first aid, self-defense, itinerary planning, and risk management. 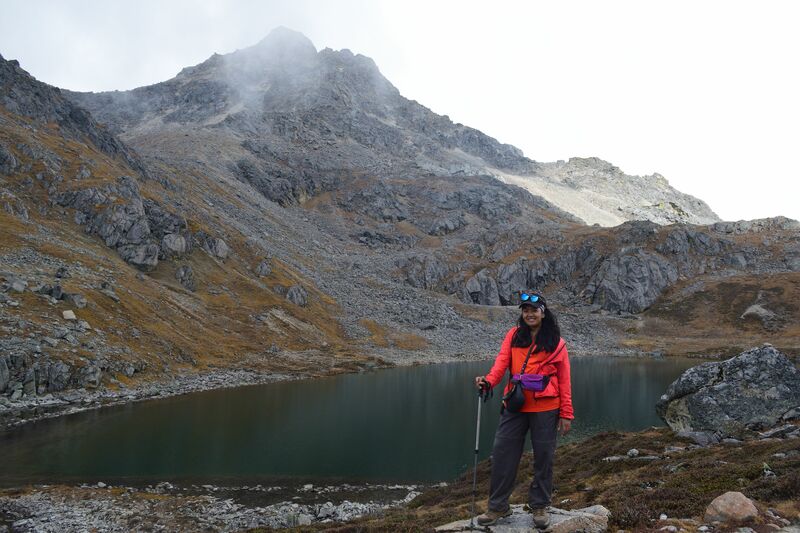 On the trek, I enjoyed the splendor of nature: the fresh light air, the mighty mountains, the rushing river; everything seemed so surreal yet so realistic at the same time. I have become the person I wished to become: independent, capable, a quick decision maker, good speaker and a storyteller; I feel empowered. Today, people around me admire me for my courage and passion and I can see their perspectives slowly changing towards a more supportive attitude. Everything I teach myself and learn is what I choose. I decide what I want to become; either to give up or carry on. And I decided to be the change. As a kid, traveling for me was just visiting new places with family where we could have momo and pizza for dinner and take lots of pictures. I started traveling with my friends after I started at university. I was permitted to go on trips with my friends as my mother was a wanderer herself back in her days. She used to tell stories of going for hikes and trekking with friends but I used to prefer the city life over mountains and nature. My views changed with time, as I got to experience the outdoors and started falling in love with the mountains. Since then, I have never stopped exploring my beautiful country. My parents never had a problem with me traveling but having to ask them for money to travel every time was difficult. So, the financial support from NepaliTravelers through the challenge made it possible. 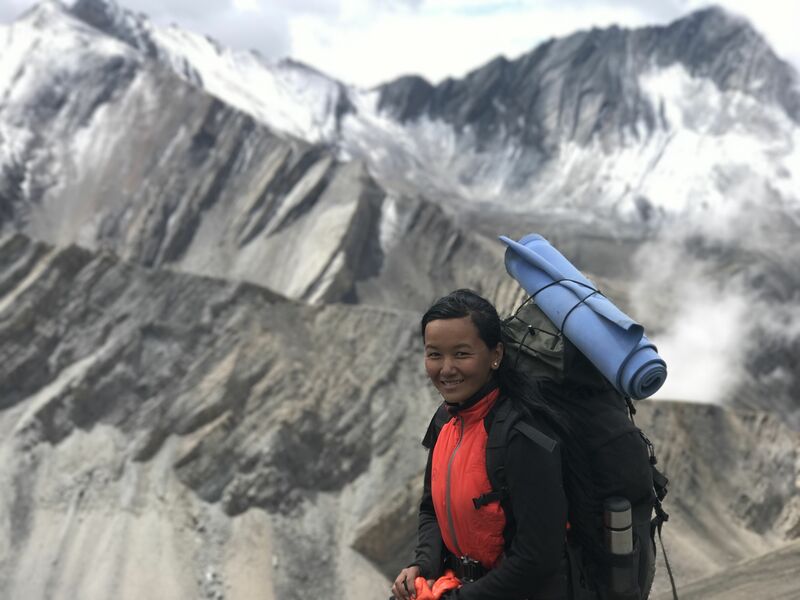 After winning the Solo Woman Travel Challenge 2017, hearing stories from the other 17 travelers, guidance from the alumni and mentors, and workshops provided helped me a lot to build my confidence and prepare myself for the solo journey. Even with the positive thoughts about being independent, exploring myself, and experiencing freedom, the concerns about safety, loneliness, and boredom still made it at times scary. The real challenge for me was to enjoy being on my own. The journey taught me that I can enjoy my own company too. I learned that no matter what challenges you might come across, you can pass through it and that is what being independent is all about. But, the most important thing I learned is that the world is mostly good and genuine, unlike what our society tells us, and this feeling is what everyone should experience at least once in their lifetime.